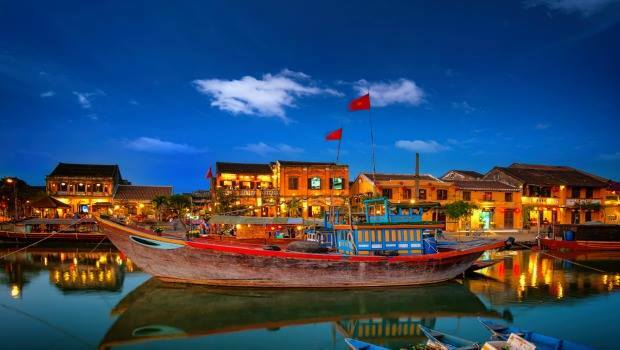 Hoi An (Hội An), a famous ancient town as well as tourist destination of Vietnam, is full of unique attractions. Not only does Hoi An attract travelers through its “Hoi An full moon night”, “Old Glittering streets” shining with beautiful lanterns, traditional folk music performances on those tiny boats, but it also has some eco-tours helping you fulfill your dream of becoming a “tourist farmer” or “tourist fisherman”. With these tours, you will have a memorable vacation by emerging yourself into the daily work of fishermen and also have an exciting and unique whilst visiting Hoi An. 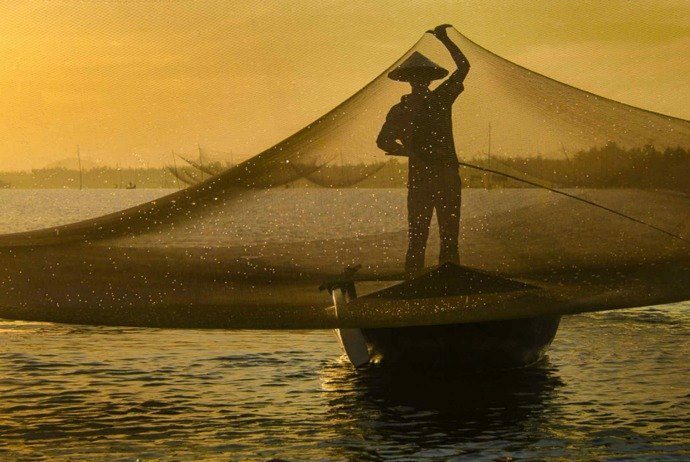 In this article, we will introduce some basic information about how to be a fisherman and a farmer in Hoi An. Spend a few minutes reading on this entry and you will better prepare for your trip to Hoi An, Vietnam. With this tour, you will get an intimate and close-up exposure to local farming and fishing communities. Associated with the tour guide, you will leisurely experience cycling tour along the country roads to witness true Vietnamese rural life of locals, obtain a wide array of unique and distinct photo taking chances – perhaps a buffalo working in a rice field, local farmers tending their new crops or colorful market stalls located on roadside. There are endless opportunities for you to take when traveling in Hoi An. Normally, tourism agency will design a one-day tour combining two forms of tourist service. In the morning, you will learn to be a fisherman in Hoi An. With this experience, you will be picked up by the tour guide in the early morning, then sit on boat to learn fishing. With the instructions of local people, you will have more real experience. Particularly, you will practice by yourself how to catch the fish net into the river, how to successfully catch fish, and so on. 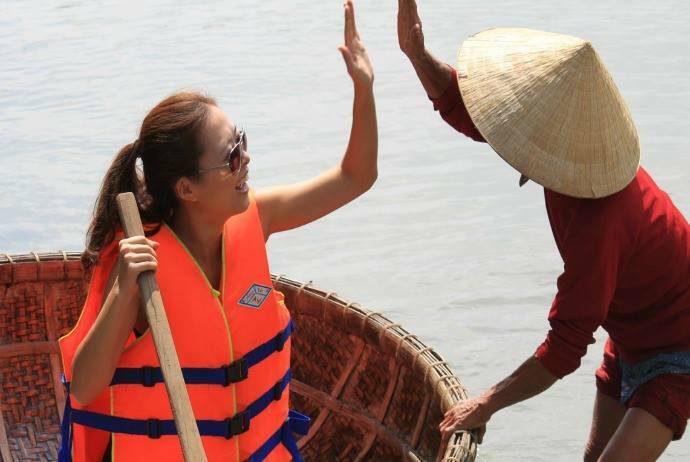 Later, you will visit the Bay Mau water coconut forest, which gives you a chance to row the small basket boat for enjoying the airy, tranquil atmosphere, admiring the base of the ancient town of Hoi An in the history, and using common fishing tools to fish field crabs. 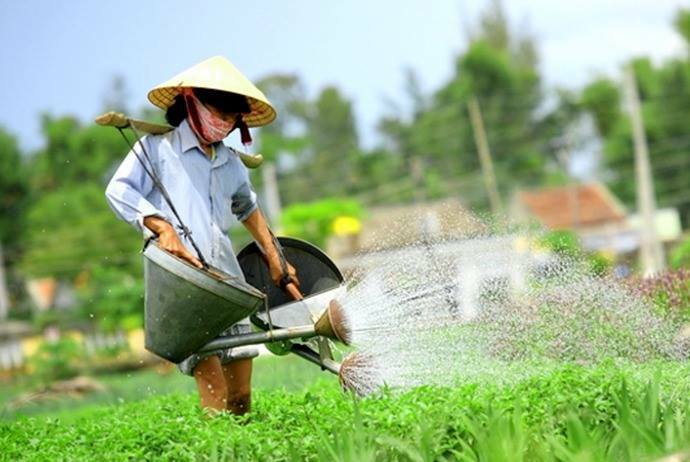 In the afternoon, you will learn to be a farmer in Hoi An. First, you will dress traditional farming clothes, and take a walk to visit an organic vegetable garden where the local farmers work and use traditional methods without using any electrical machine as a support. The site that is usually chosen for farming experience is at Tra Que (Trà Quế) Vegetable Village. This organic farm is beautifully presented. Actually, it is difficult to believe that it is a farm providing much of the old town of Hoi An with its fresh nutritional produce. Later, the local farmers will explain to you some traditional farming methods. Specifically, you will learn how to properly prepare and make the land, how to fertilize the green manure prior to growing veggies. The last activity in the process of learning to be a farmer in Hoi An is watering the veggies you have grown. You will also get to know some products that are made from bamboo and used daily by locals for generations or the use of veggies and hers in traditional Vietnamese medicine. More interestingly, some tours also offer you a chance to soak your feet in the Vietnamese herbs after experiencing the procedure of becoming a Hoi An farmer.